Set between the attractive, historic market towns of Mold, Ruthin and Llangollen. There are great walks with fantastic views of the Welsh countryside. Or try the nearby Loggerheads Country Parkfor somewhere the children and young at heart can walk, climb and explore to their hearts` content. A little further afield are Llangollen Railway and the famous Llangollen Canal and Aqueduct. Chester, Snowdonia and Bala Lake are close at hand, as is the Welsh coastline for those sunny " picnic on the beach " days out. Vale want to give you the best possible experience and if you find that the park isn't quite right for you give us a call and we'll endeavour to support your relocation. Famed for its steam railway and impressive aqueduct, Llangollen is perfectly situated in the picturesque Vale of Llangollen and has been referred to by visitors as a 'walker's paradise'. Read More… Offa's Dyke, the legendary Anglo-Saxon path, runs through the Vale of Llangollen as well as lakes and rivers where you can enjoy a spot of fishing or white-water rafting, depending on how adventurous you feel! Llangollen's Victorian town hall often plays host to a number of operas and musicals and the many tea rooms are the perfect place for a drink and a snack. 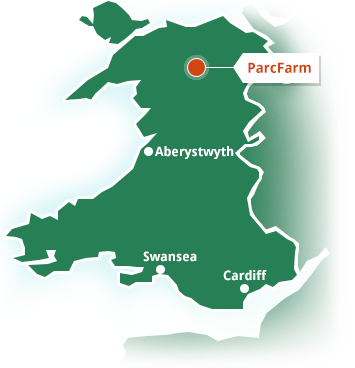 Right on the doorstep of ParcFarm is the historical market town of Ruthin, which is the perfect setting for a traditional, quaint weekend break. Read More… Enjoy the Tudor architecture and treat yourself to a drink in one of the town's historic pubs, like the Myddleton Arms, whose unique placement of windows has earned in the nickname 'The Eyes of Ruthin' or the Wynnstay Arms, which has featured in classic Welsh literature. There's also a wealth of independent shops and boutiques where you can pick up high-quality, locally made products. A bit over your budget? Don’t worry, we have got it covered! With our flexible options there is all the help you need to purchase the perfect caravan for you and your family. Located in the midst of the beautiful Welsh countryside, by the golden sands of the Cornish seaside or just a stone's throw away from the UK's only coastal National Park, our holiday homes have something for everyone. Sign up for news, offers and prizes! © Vale Holiday Parks 2016, All rights reserved. Vale Holiday Parks Ltd is a credit broker and not a lender. Vale Holiday Parks Ltd has a panel of lenders, which customers can be introduced to. Vale Holiday Parks Ltd is authorised and regulated by the Financial Conduct Authority under registration number 666894.